The Master Lock 30 min Fire & Water Chest A4 is ideal for storing valuable, documents & digital items from fire. 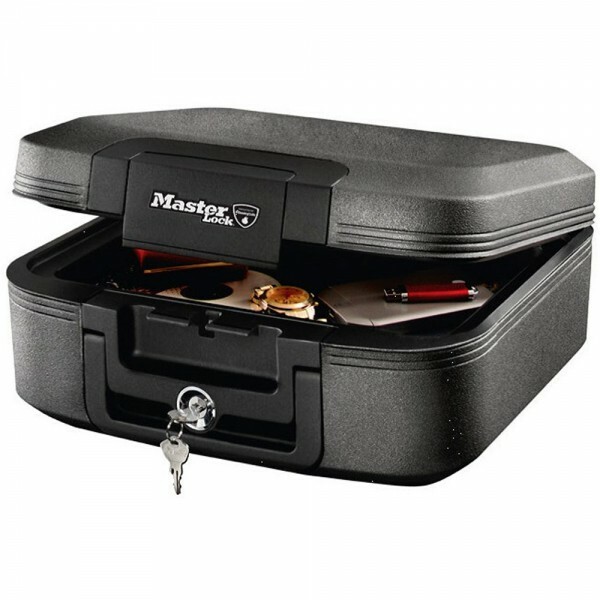 It is fitted with a key lock which is supplied with 2 keys. 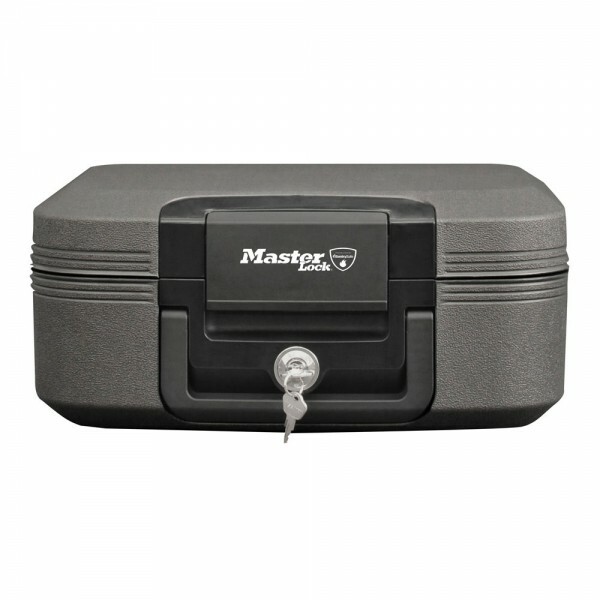 It is a UL/ETL verified chest which can protect documents for up to 30 minutes at 843° C. Furthermore, it is ETL verified waterproof against submersion thereby protecting documents for up to 72 hours. It has a carrying handle to allow for it carried from one place to another ewasily and is suitable for letter and A4 sized documents.